We are a family run business which has been trading for 19 years in the popular & enchanting market town of Framlingham. We offer a full service from start to finish, from a free site survey right through to the complete installation by HETAs fitters. 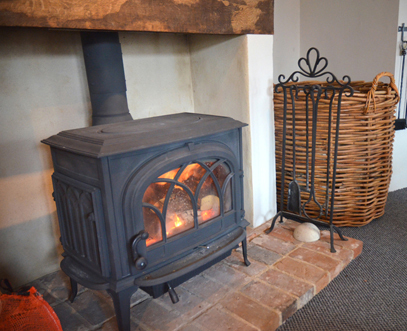 Whether its a Fireplace which we can also fit from start to finish, that includes the pulling out of the old fireplace right through to the fitting of the new, or Woodburner or multi fuel stove. Our brand new showroom which is now situated on Crown & Anchor Lane, Framlingham (in the old Bridges & Garrads Lawnmover premises) offers on display a wide range of woodburning & multifuel stoves traditional & contemporary; Jotul, Yeoman, Stovax, Aga, Hunter, Villager, Aarrow, Firebelly, Scan, Esse, Heta to name a few. It’s easy to book an appointment for Russell Willett to do a site survey just call Kirsten or Debbie in the showroom & they will book you in as soon as we can.